ALDO, a Count of Ostrevant, a district in present-day northern France, who flourished in the late eighth century. St. Aldo received monastic tonsure at the double monastery of Hasnon in Picardy (present-day northern France), and later served as its Abbot. BALBINA, generally accepted to have been the daughter of St. Quirinus (30th March) the martyr. St. Balbina was baptised by Pope St. Alexander I (3rd May). St. Balbina was martyred along with her parents, circa 130. GUY (GUIDO), rejecting the sybaritism of his youth, St. Guy received monastic tonsure at Pomposa Abbey near Ferrara, Italy. He then spent time at the Abbey of St. Severus in Ravenna, Italy, serving as Abbot towards the end of his stay there. St. Guy returned to Pomposa and was soon after appointed Abbot of Pomposa. During his tenure as Abbot, Pomposa experienced a doubling of the number of monks in the community. St. Guy reposed in 1046. RENOVATUS, after renouncing the heresy of Arianism, St. Renovatus received monastic tonsure at the Monastery of Cauliana in Lusitania (present-day Portugal). He was later appointed Abbot of Cauliana, and then circa 611 consecrated Bishop of Mérida (present-day Portugal). St. Renovatus reposed circa 633. 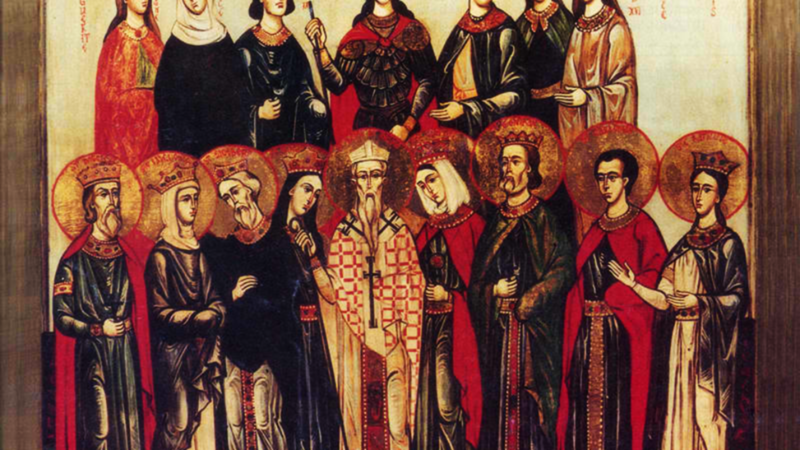 THEODULUS, ANESIUS, FELIX, CORNELIA, and COMPANIONS, (Date Unknown), a group martyrs in Africa Proconsularis of whom no further particulars are extant.